Eerdmans Books for Young Readers, 9780802854049, 256pp. 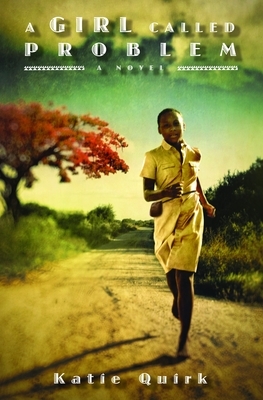 Thirteen-year-old Shida, whose name means "problem" in Swahili, certainly has a lot of problems in her life -- her father is dead, her depressed mother is rumored to be a witch, and everyone in her rural Tanzanian village expects her to marry rather than pursue her dream of becoming a healer. So when the village's elders make a controversial decision to move their people to a nearby village, Shida welcomes the change. Surely the opportunity to go to school and learn from a nurse can only mean good things. However, after a series of puzzling misfortunes plague the new village, Shida must prove to her people that moving was the right decision, and that they can have a better life in their new home. For author pictures of Tanzania, a video depicting the life of a modern Tanzanian girl, discussion questions for each chapter of the book, and suggestions for further reading, please go to katie-quirk.com and follow the links for A Girl Called Problem.